The kitchen is the heart of your home, and when you consider how much time you spend in it and how much hard use your fixtures and appliances get, it’s no wonder they don’t last forever. But you probably don’t think much about your fixtures until something starts making a funny noise or starts leaking. One way to keep your appliances and systems going as long as possible, though, is to take care of them the right way. Run the disposal. A full disposal might be the problem, so run it first to see if the clog clears. Use boiling water. Remove as much standing water from the sink as you can, and then pour in a full pot or kettle of boiling water. If nothing happens, repeating the process one or two more times often works. 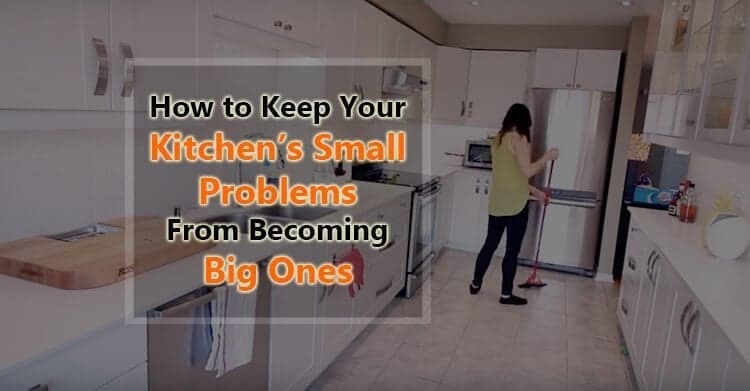 You can also try pouring half a cup of table salt or a half-and-half combo of salt and baking soda into the drain first. 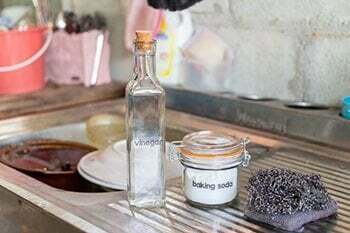 Use vinegar and baking soda. If you’ve ever made a grammar school volcano, you know the bubbling action created by vinegar and baking soda. First remove standing water, then pour in a cup of baking soda followed by a cup of white vinegar. When the bubbling subsides, put the stopper in the drain, wait about 15 minutes, and then run the hot water. Repeat if necessary. Try a plunger. but ONLY if you haven’t used a commercial drain cleaner that could splash back at you. The flexible rubber gaskets around the refrigerator and freezer doors can deteriorate with time, letting air in and lowering the temperature inside. This reduces the appliance’s efficiency and can affect the quality of your food. To check the seals, take a piece of paper and put it between the seal and the door before you close it. If you can slide the paper down with the door closed, it’s time to get the seal replaced. Refrigerators waste energy and don’t run as well when the condenser coils are dusty or covered in pet hair, so clean them every six months or so. You’ll find the coils either behind the kickplate at the bottom or at the rear of the refrigerator. First unplug the unit, then use an appliance brush or damp cloth on the coils. Sweep up or vacuum the debris, plug the unit back in, and you’re done. You know the dishwasher has a trap for debris, right? Well, if you don’t, it’s right there on the bottom of the interior and should be removed and cleaned periodically. Sprayer arms can be cleared of clogs, too, and by now you know the drill about testing gaskets around the door. Even a tiny weak spot in a washer’s hose can lead to a crack that turns into a hole, and before you know it you’ve got water flooding where you don’t want it. Periodically inspect the hoses to make sure they’re in good shape, and check the connections for leaks, too. As for the dryer, you know that you should clean off the lint screen every time you finish a load, but at least once a year you should clean the exhaust venting. These tips from a pro will show you how to do it. You probably don’t even notice the cords and plugs when you use your small appliances like coffee makers, toasters, juicers, fryers, meat grinder and all the rest, but it’s important to check them every once in a while to make sure they’re still in good condition and not a potential fire hazard.